ZShock is a jewelry manufacturing company, that's what we do! However, ZShock has been lucky enough to cultivate a great following. ZShock has also been adopted into various lifestyles that not only rock jewelry and watches designed and made by ZShock but they want to rep the brand in many forms. 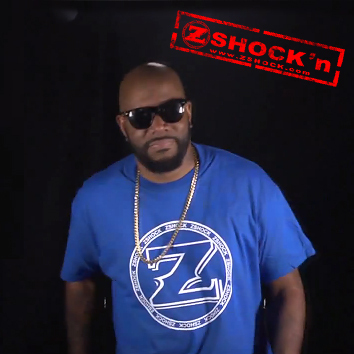 After repeated requests from our customers and our social network family, the first installment in the ZShock Apparel Collection has dropped in the form of ZShock T-Shirts. 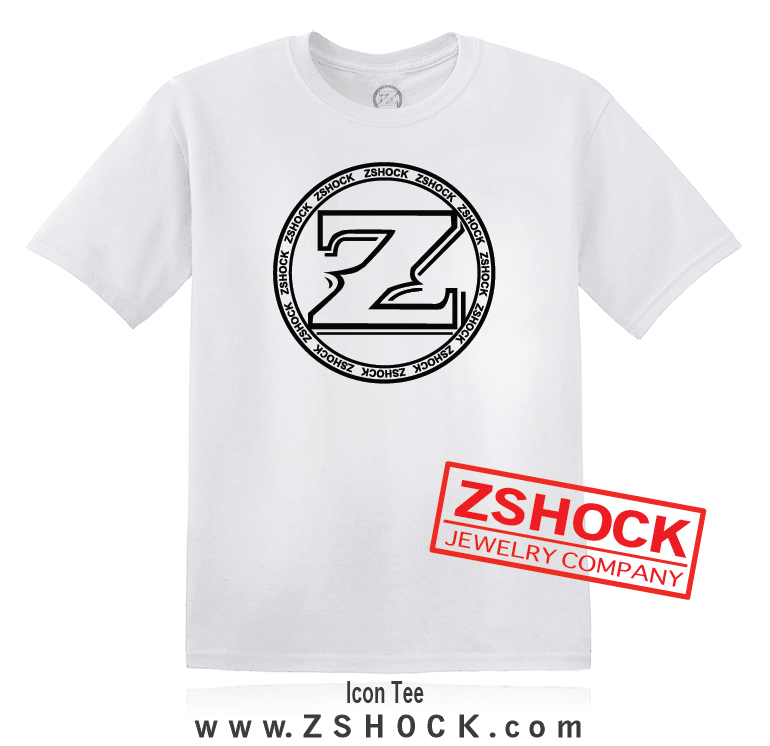 We have launched the inaugural ZShock Jewelry Company Icon Logo T-Shirts. The bold yet classic ZShock logo is emblazoned on a 100% preshrunk unisex cotton t-shirt. The ZShock Jewelry Company Icon Logo Tees can be worn by both men and women but specialty tees for women and girls will also be coming soon to the site. 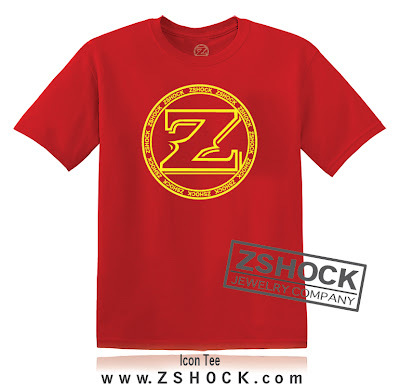 Various color combinations of these ZShock t-shirts will be for sale on the ZShock website. This initial design will not be the last, ZShock apparel is something that has been requested by customers and ZShock will be rolling out new products in the coming months of 2013 and beyond. 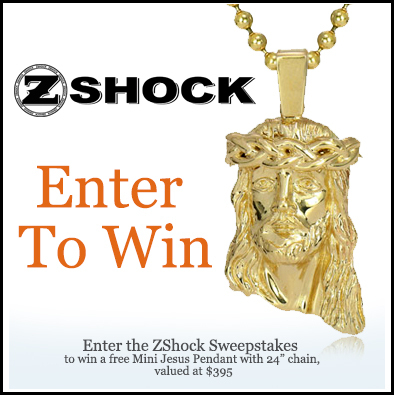 ZShock Jewelry Company has a great sweepstakes this month, giving away a Signature Mini Jesus Piece Pendant. Subscribe now to ZShock’s March, 2013 Sweepstakes and you will be automatically entered for a chance to win a Mini Jesus Piece Pendant and Chain valued at $395. No purchase necessary, a winner will be selected April 1, 2013. The Jesus Piece has been a popular piece in ZShock's Jewelry Collection. This month's ZShock giveaway is the Mini Jesus Piece Pendant. The pendant will be in 14k yellow gold tone with a 24 inch ball bead chain. This particular pendant shows an enormousness amount of detail. It is expertly crafted and solid, measuring approximately 1.5 inches long and .75 of an inch wide. ZShock offers many versions of the Mini Jesus piece as well as larger sizes in various metals with or without diamonds. You can enter the ZShock Mini Jesus Piece Pendant sweepstakes through ZShock's various channels. Anyone can enter the sweepstakes via ZShock's Twitter Page or by liking ZShock's Facebook page, ZShock's Pinterest boards and directly on the ZShock website by joining the ZShock V.I.P. Email Program. ZShock's V.I.P. Email Program keeps subscribers up to date of what’s new at ZShock in addition to sales, private promotions, and special coupon offers. Our March sweepstakes will run through the entire month of March 2013, and a winner will be selected on April 1, 2013. We will announce the winner via ZShock's social networks such as ZShock's Twitter and ZShock's Facebook channels. Today is official Martin Luther King, Jr. Day, the man we recognize as the Civil Rights leader and American icon. ZShock Jewelry Company, wants to bring to light an amazing carving, by the world famous Ukranian gem carver Vasily Konovalenko. 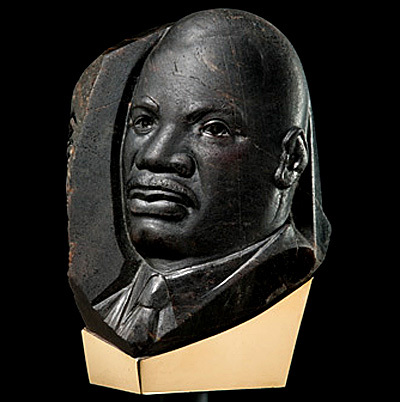 It is an a stunning likeness of Dr. King carved right into a 4,180-carat black sapphire. This carving was done in 1984 and is now part of a Museum exhibition in Denver on loan to the museum from the Kazanjian Brothers Jewelers from Beverly Hills, California. Vasily Konovalenko, the gem carver, passed away at the age of 60 in 1989. This piece is said to be one of his rarest pieces because he never carved a person or their likeness into a gem and it it all done from a single large piece of gemstone. Sneak peak of the new Darrelle Revise Nike Zoom 1 sneaker pendant made exclusively by ZShock Jewelers. Look out for the nation wide drop of the Nike Zoom 1 sneakers in stores nationwide on December 1, 2012 in various colorways. Shout out to our friend, that young man known as Diggy Simmons. He showcases his lyrical talents once again in his new music video that dropped today for his freestyle over Kanye West's & Pusha T's New God Flow. Notice the custom ZShock DIGGY Punch Ring. Nuff said! We here at ZShock had to post this. Team USA swimmer Ryan Lochte blazes to victory in his 400m individual medley on Saturday, beating his team mate Michael Phelps and all his other competitors to win USA's first Gold Medal of the 2012 Summer Olympics. Of course the win was just part of the drama that day. 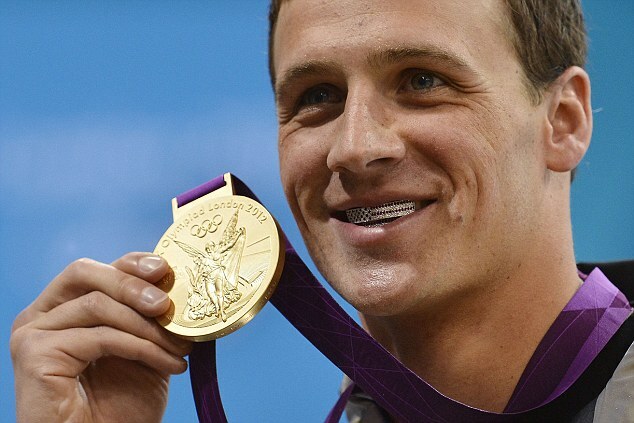 Ryan Lochte was advised that he would be unable to receive his gold medal on the Olympic podium if he decided to wear his iced out diamond grills. It is a signature trademark for Ryan Lochte to wear his pave diamond grills during his award ceremonies, and for these Olympics he had a new set of Diamond grills custom made inspired by the American Flag, some patriotic bling! At ZShock we don't get into the Grill business but we certainly appreciate the look and the fun of the iced out dental gear. See below for other images of Lochte with his grills as well as a video announcing he had the Olympic Grills in the works.